What’s your time worth? That’s not an easy question to answer. It depends on what you mean by “worth”. If you’re doing something that isn’t earning you money like bookkeeping for example, and which you don’t enjoy doing, you could measure it in terms of lost opportunities. Working on your marketing plan. 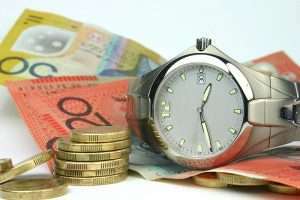 The fact of the matter is that bookkeeping is something you’re probably not very good at, you don’t value it and there are a hundred things you could be doing that could make you better off financially or psychologically. That’s what smart managers do. It takes a bit of courage to take the plunge but you’ll find it’s worth it. We all have a fixed time to live. The tricky thing is that we don’t know exactly how long that is. But what we do know is that doing bookkeeping when you don’t have to is not “living”. Every minute you spend bookkeeping is a lost opportunity. Bookkeeping actually shortens your life – or at least reduces the time available for the important parts of living. This is what you should do. Talk to us at Certus Group and we’ll help you get a bookkeeping solution that’s perfect for your needs. So you can spend more time on the things you enjoy and things you’re actually good at. Makes sense doesn’t it? Get some self-respect. Stop bookkeeping today!